This is gorgeous! 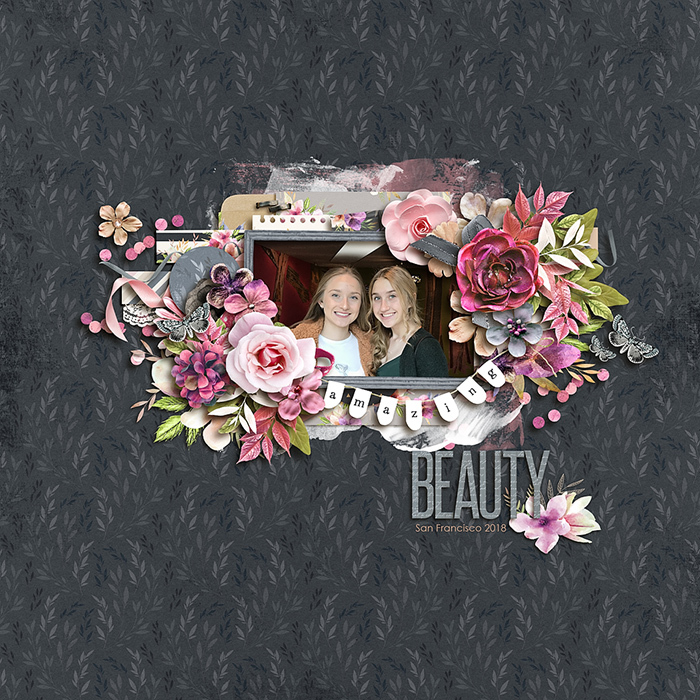 I love the soft colors of this layout against the gray background! Beautiful photo of your girls and amazing cluster work! This is so pretty! All those flowers! And butterflies! I love it on the dark background.